. : shhhh! it's a surprise! 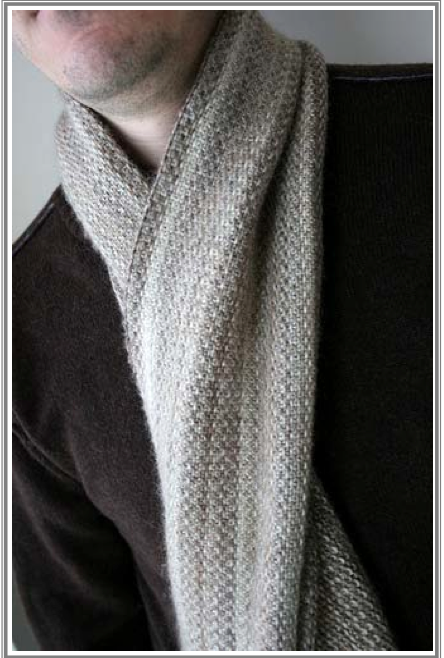 When I was home in CA last month I bought several skeins of very expensive really nice and soft alpaca yarn to make husband a really manly and special scarf for our upcoming trip to Alaska. I'm trying to finish it before he gets home, but since I'm knitting it lengthwise, it seems as though it is taking forever...really I'm halfway done, it just feels like it is taking forever. It's pretty soft and the stitch I'm using makes it look more woven than knitted. Below is my inspiration photo. 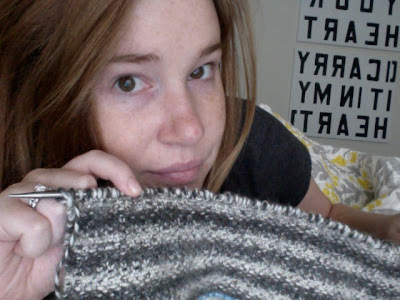 The yarn I used has a lot darker colors and turned out sort of self-striping, which I kinda dig...yes, dig. I'll post again when I've finished...if I ever get there!